With airline travel getting costlier, many Americans are opening up their phone navigation and discovering the country from their cars. Road tripping is a great cost friendly way to get out and see our beautiful country with your family and friends – so what’s the best car for the journey? We’ve assembled a list of seven cars, in no particular order, that can be suited to the different needs of each traveller. While minivans have become categorically less popular over the last decade, they’re still a more than practical form of transportation for larger groups. 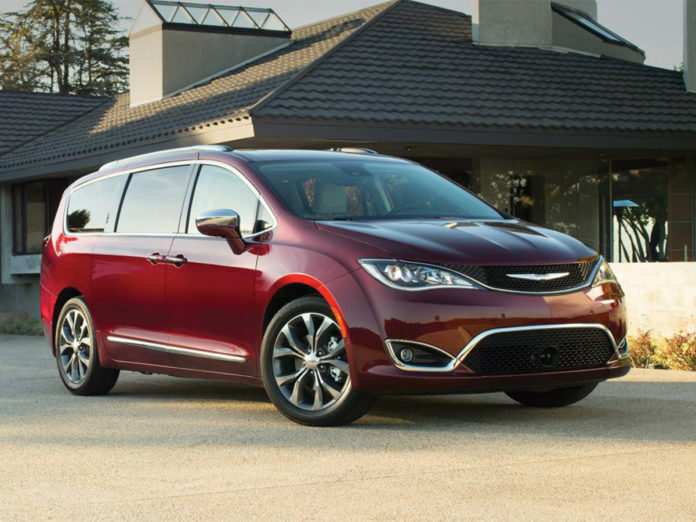 Recently redesigned, the Pacifica is nothing like your mom’s minivan from when you were growing up. Starting at just under $30,000, the Pacifica is available with a slew of features such as dual 10 inch screens with a Blu-rayblue ray player and downloadable games for the rear seats or a built in vaccum cleaner to list a few. A massive car, the Pacifica has roomy seating for 7 passengers with plenty of cleverly positioned cubbies, and storage spots and plentiful USB ports and outlets to charge all your electronics. The Pacifica has more than all of the resources and amenities you and your passengers could possibly need on any road trip. Plenty of American automakers released small, retro- styled hatchbacks in the mid 2000’s with the hope to entice millennial buyers. These cars like the Chevrolet HHR and Chrysler PT Cruiser ultimately failed because they weren’t quite practical enough. 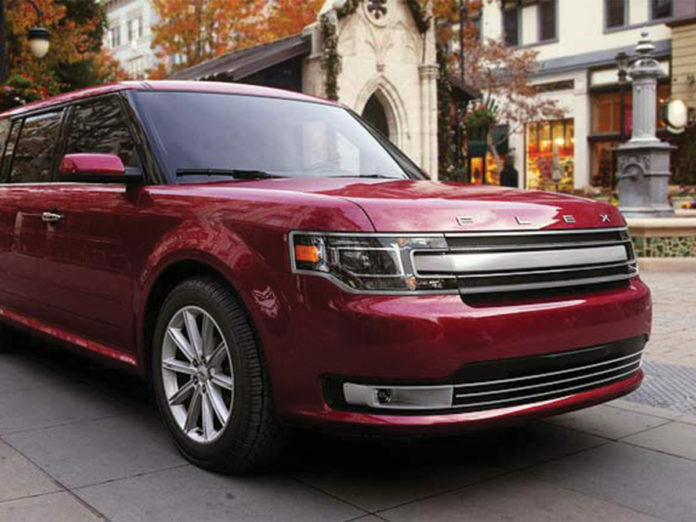 The Ford Flex blends the retro surf wagon look with the practicality of a minivan or large SUV. The unique boxy shape of the Flex allows for comfortable seating for 7 with plenty of room to move around and for extra gear. While the Flex does suffer from poor fuel economy, it makes up for it with plenty of amenities such as a DVD system for the second and third rows and a refrigerated storage compartment for the second row. 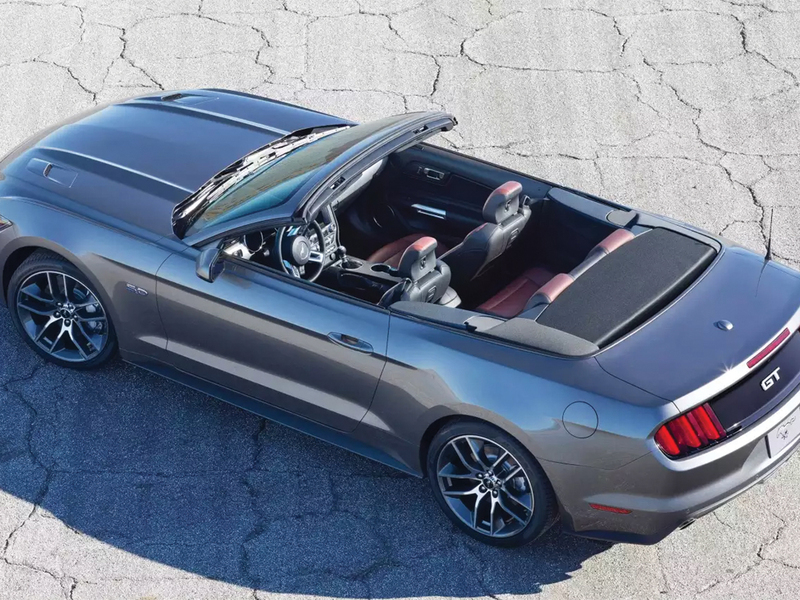 Starting at around $30,000, the Mustang is much larger than other similarly priced open-topped cars like the Mazda Miata or the Mini Cooper Convertible. The handsome pony car comes standard with a powerful 305 horsepower V6, but a more powerful turbocharged 4-cylinder and monstrous 5.0 liter V8 are also available to complete the experience. The Mustang can also be had with plenty of technology such as a blind spot monitor and backup camera to ease the drive. What better way to drive up the coast this summer than with the top down? Starting at $16,090, the Honda Fit offers much more space and versatility than what it appears to: its small stature despite its small size, the fit offers plenty of space and comfort for both its passengers and their luggage. Apart from being more than spacious for you and your precious cargo, it’s small four-cylinder is frugal on gas, netting over 40 miles per gallon on the highway. 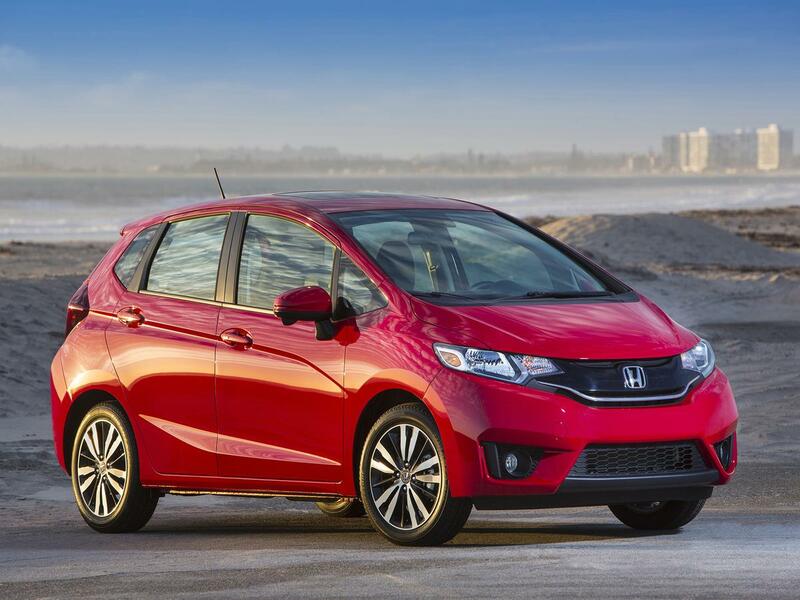 Despite its low price tag, the Fit comes standard with a backup camera and can still be had with leather heated seats, blind spot monitor, and a touchscreen infotainment system with bluetooth connectivity to make any road trip more enjoyable. Recently redesigned for the 2017 model year, the new Mazda CX-5 starts at just under $25,000. For that you get an extremely handsome, fun to drive, and spacious CUV that returns sedan like fuel economy numbers with SUV like space. The CX-5 has one of the most luxurious and quiet interiors in its class and comes loaded with all the latest technology without breaking the bank. Also available with all-wheel drive, the CX-5 can handle all weather situations as well as different terrains. 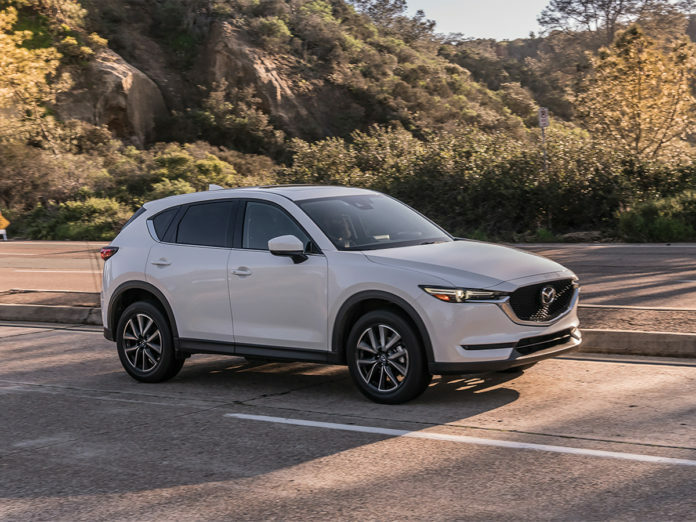 The CX-5 will not only provide plenty of space for you and your passengers, but it’ll provide a more luxurious and sporty feel than any of its competitors. to the individual wheels that need it the most. 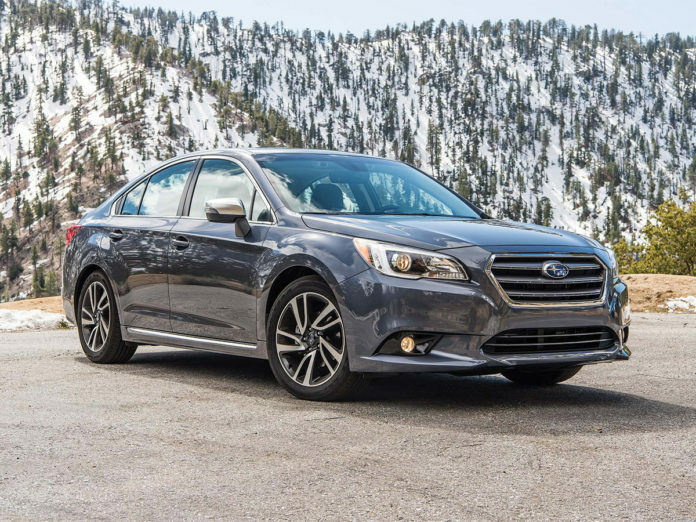 The standard 175 horsepower 4-cylinder also nets an excellent 36 miles to the gallon on the highway, impressive numbers for an all-wheel drive sedan. The Legacy comes available with one of the most user friendly infotainment systems and one of the most advanced active safety systems, EyeSight, which comes with pre-collision braking. 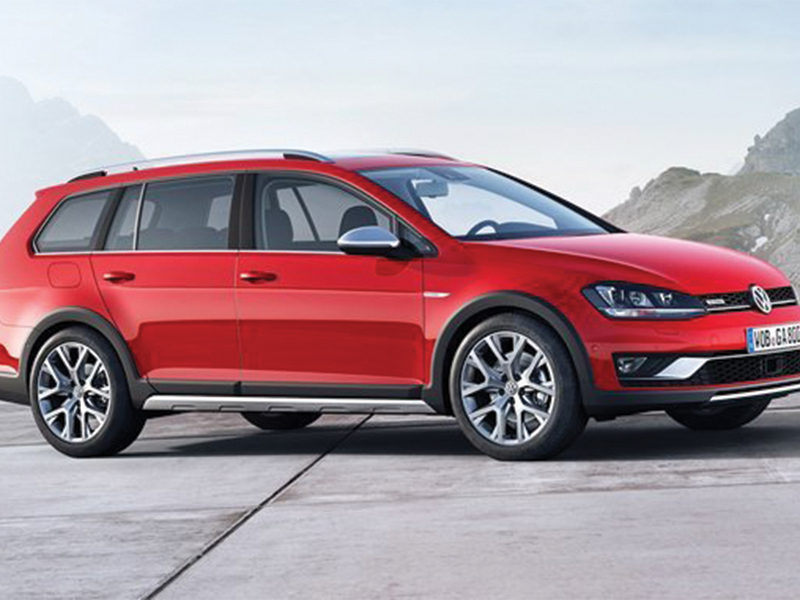 The Golf Sportwagen Alltrack is Volkswagen’s answer to the popular Subaru Outback. Essentially a raised all-wheel-drive wagon version of the ultra practical Golf Hatchback, the Alltrack benefits from the excellent Volkswagen MQB chassis and the 1.8-liter turbocharged 4 cylinder. Despite the extra size and weight, the Alltrack drives just as well as the standard Golf hatchback with the same excellent and precise steering and smooth ride, all supplemented by a powerful yet fuel efficient turbocharged powerplant. The Alltrack also comes with all of the Golfs available safety equipment such as a blind spot monitor and come with Apple Carplay and Android auto, all making any long distance drive easier. Overall, the Alltrack is an ideal German alternative for a great road trip car.